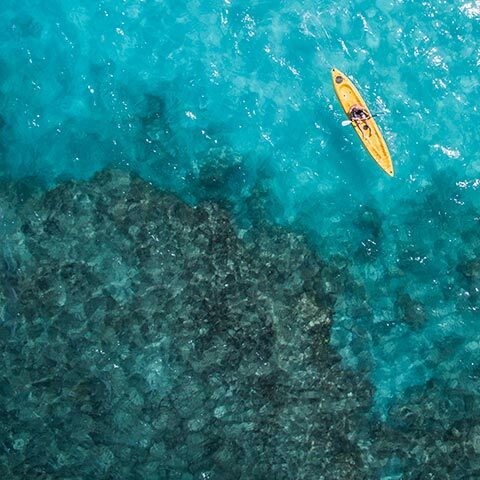 A full-day excursion to explore Praslin, the second-largest island in Seychelles. An island with a long pirate and spice trade history, as well as exceptional natural riches. 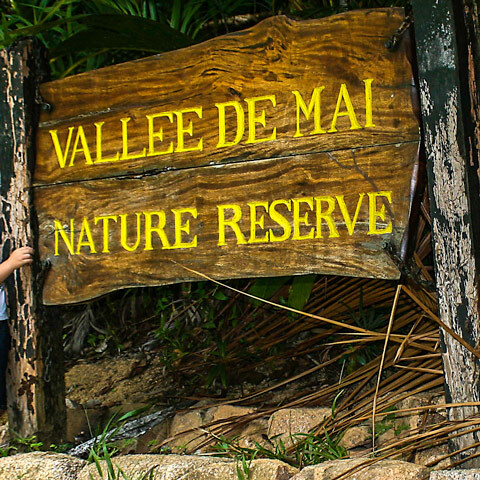 The Vallée de Mai is an ecological site of such importance that it has been given UNESCO World Heritage Site status and its pristine native forest was once thought to be the biblical Garden of Eden. 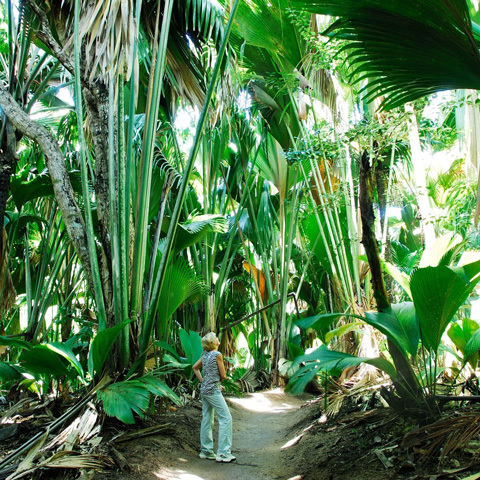 Leafy trails wind through the unspoilt tropical forest, giving you the chance to spot rare indigenous birds such as the Seychelles bulbul and black parrot, as well as encounter the semi-legendary coco de mer tree. 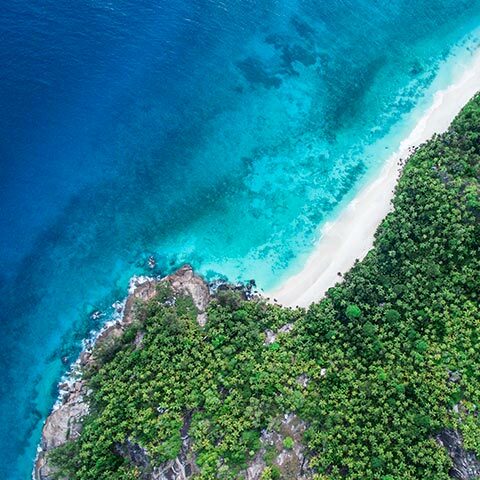 There is no better spot for lunch than the stunning Anse Lazio beach, with its tranquil lagoon that is perfect for swimming and snorkelling. Other attractions on Praslin include art galleries, a black pearl breeding centre and fragrant vanilla orchards. The day ends with a leisurely sunset cruise back to North Island in time for dinner. The day can be customised to your specific wishes with a number of choices of lunchtime restaurants and other activities. Sailing time from North Island to Praslin is around 1hr 30 mins each way.